Many right-wing figures lined up Friday night to criticize President Donald Trump for temporarily ending the government shutdown for three weeks without having convinced Congress to fund his proposed U.S.-Mexico border wall. Controversial commentator Ann Coulter called Trump “the biggest wimp ever to serve as president” and Fox Business host Lou Dobbs said Trump had been “whipped” by House Speaker Nancy Pelosi (D-Calif.). Fox News’ Sean Hannity, however, had a different take. The “Hannity” host, who is a staunch supporter of the president and even joined him on stage at a Missouri rally ahead of the 2018 midterms, insisted that Trump still “holds all the cards” when it comes to negotiating with Congress for the wall. 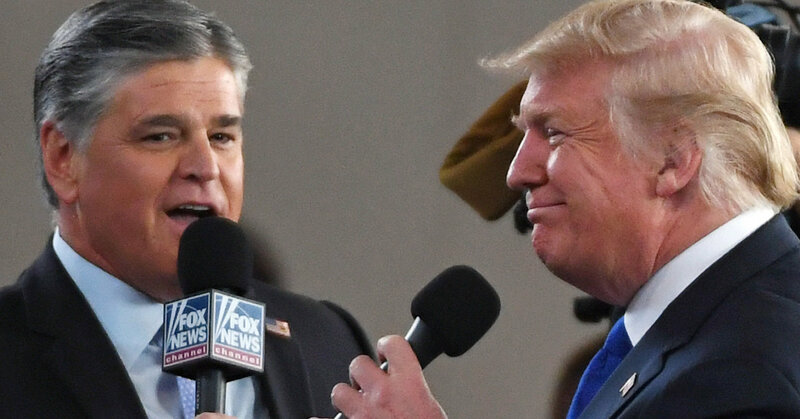 Hannity claimed that Trump would simply declare a national emergency to obtain the funds if he couldn’t seal a deal for the wall with Congress during the next three weeks that the government is reopened.